As each leg definitely needs checking out first teams are picked in advance of the date of the race. 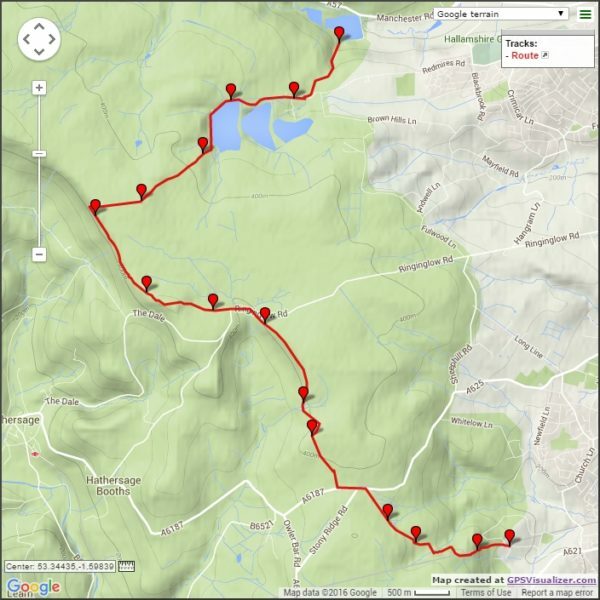 Experienced runners from the club will be leading recces of the legs in the weeks before the event. Keep an eye on Facebook (and emails) to hear about the recces. Other running clubs that wish to enter a team, please contact the Way Relay team via the contact form too and we will pass on your details the organisers. Please include as much detail as possible. The Sheffield Way is one of the most popular events on the club calendar and has been held every year since 1997. It is run as a team event and is open to Striders teams and selected guest teams by invitation. Since 2013, we also hold an ultra event on the same course on the same day. For details of the 2015 ultra event, have a look at the Sheffield Way Ultra page. 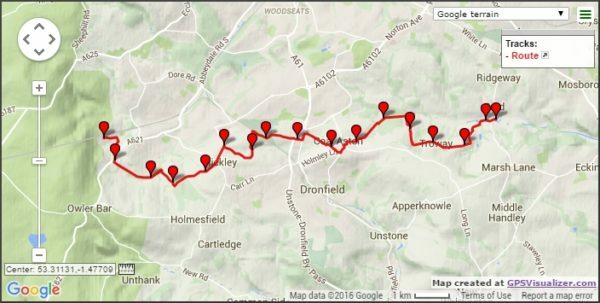 The race covers 50 miles, in 5 legs of approximately 10 miles each, of an off road route around the perimeter of Sheffield. Each team is made up of 10 runners, with a pair running together on each leg.